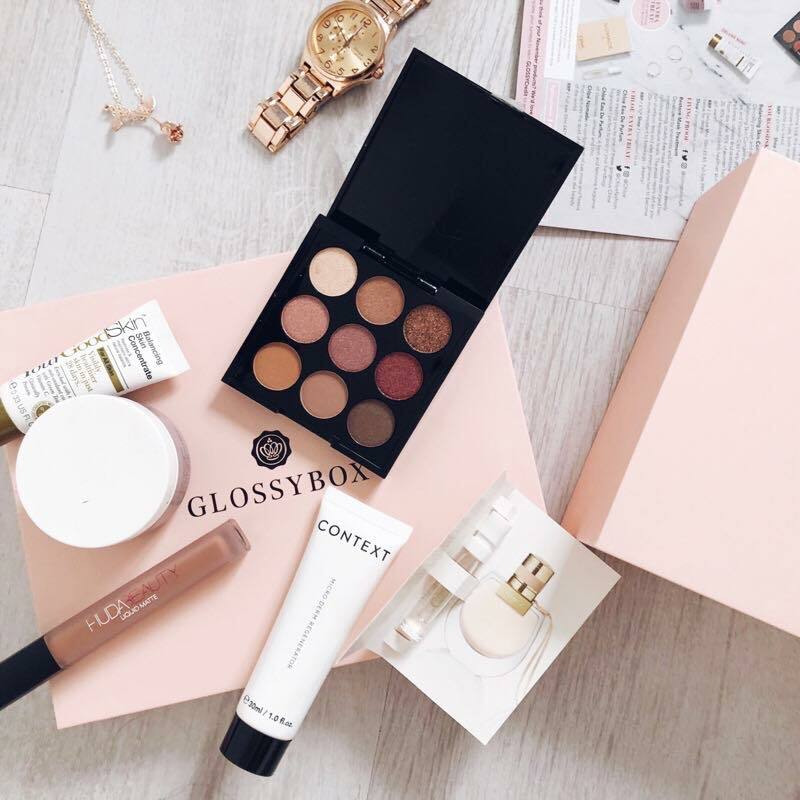 November is here already and that means another Glossybox, yay! My Glossybox arrived super early this month and I’m so impressed with everything in it. In fact, I think this might be my favourite Glossybox so far! 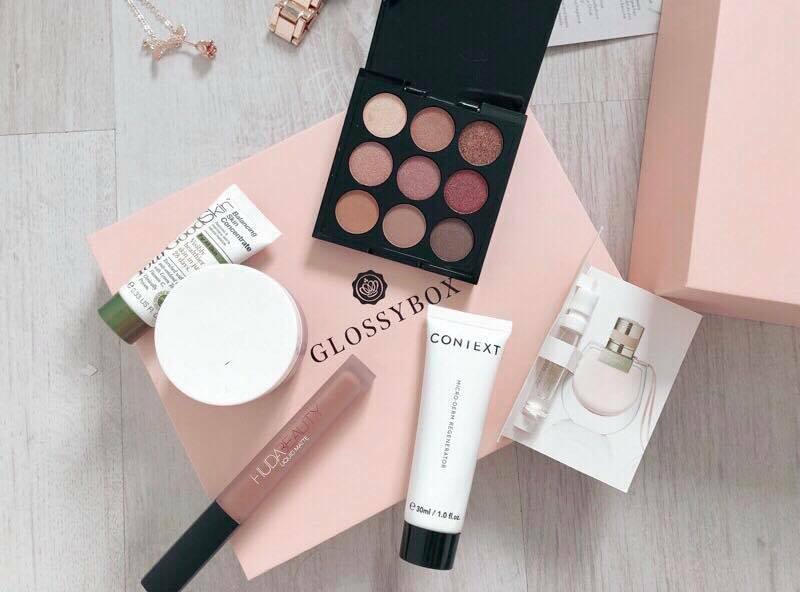 If you don’t know what Glossybox is, it’s a beauty subscription box containing around 5 products worth over £50. It costs £10 plus £3.25 postage a month and you can unsubscribe at anytime. I am SO happy that this is in Novembers Glossybox! 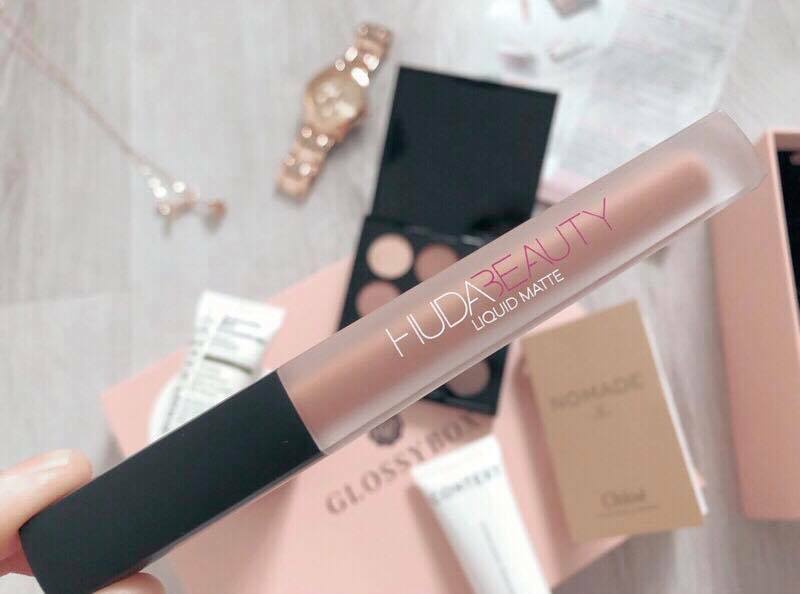 I’ve wanted Huda liquid matte lipstick’s for ages. The colour is perfect for wearing every day. It’s a super lightweight formula that glides on a thin coat colour that intensifies as it sets to matte. 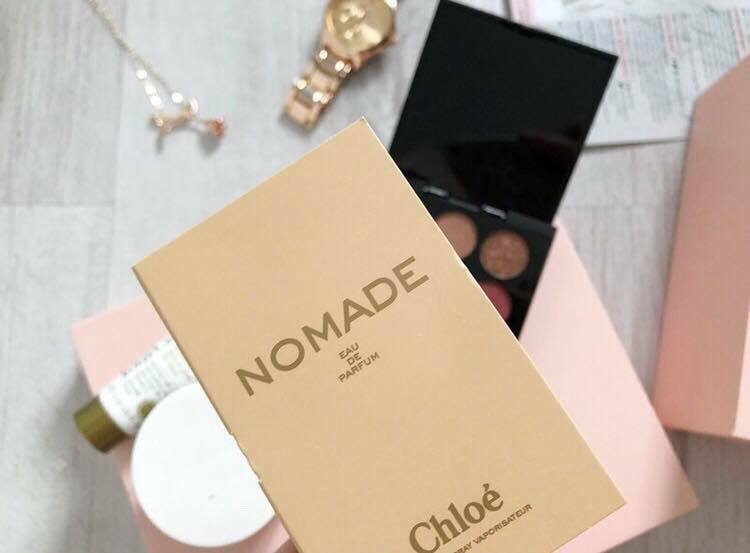 It’s always nice to receive a mini perfume! I’ve never tried a Chloe perfume before this and let me just say, it smells gorgeous. It’s such a pretty womanly scent. Another product which I was happy to see! This deeply conditioning hair treatment repairs dry, damaged hair by nourishing each strand, leaving your hair visibly healthier, stronger and shinier. Just what I need after having bleach put on my hair 4 times within the past two month after a mega hairdresser fail. My hair is in need of some deep conditioning and I’m hoping this will work its magic! Your new go to autumn / winter palette! 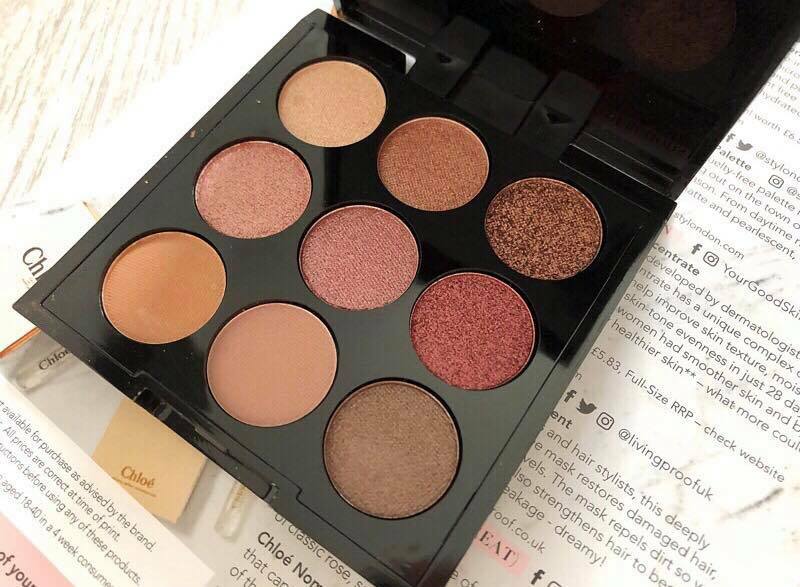 This eyeshadow palette is stunning. 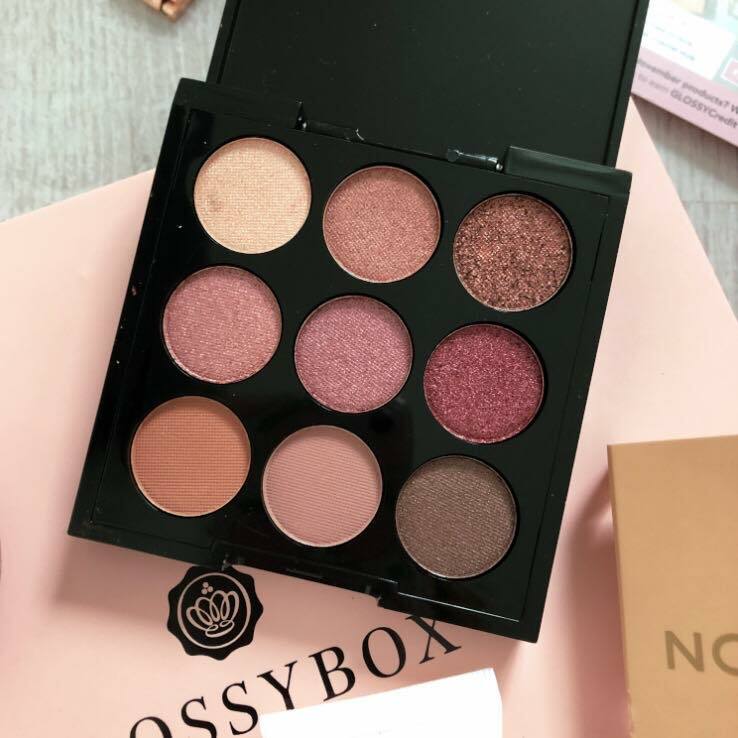 It has all the colours you need this season from bronze hues, daytime neutrals and beautiful shimmery pinks and reds. 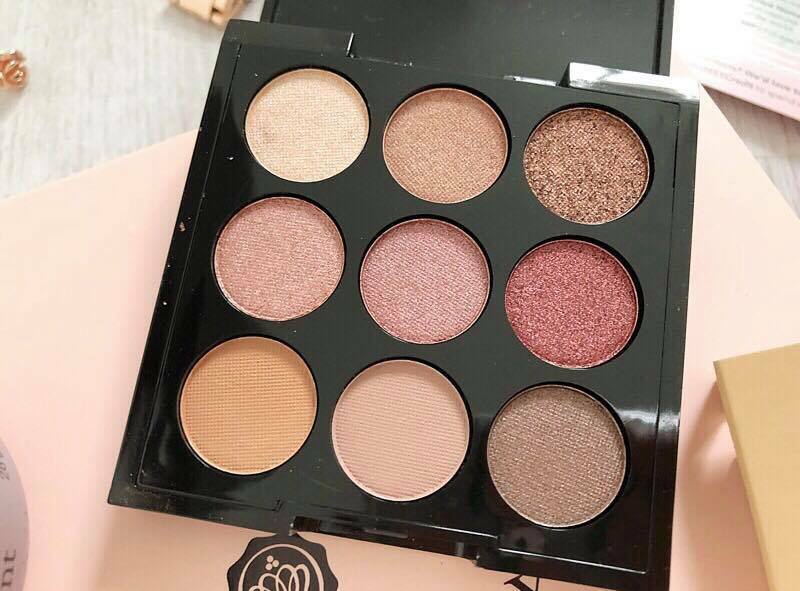 This palette has a mix of both matte and pearlescent eyeshadows making it so versatile. The colours are so pigmented and I’ll definitely be using this a lot. A two in one cleanser using professional microdermabrasion crystals, it gently exfoliates, polishes and purifies. 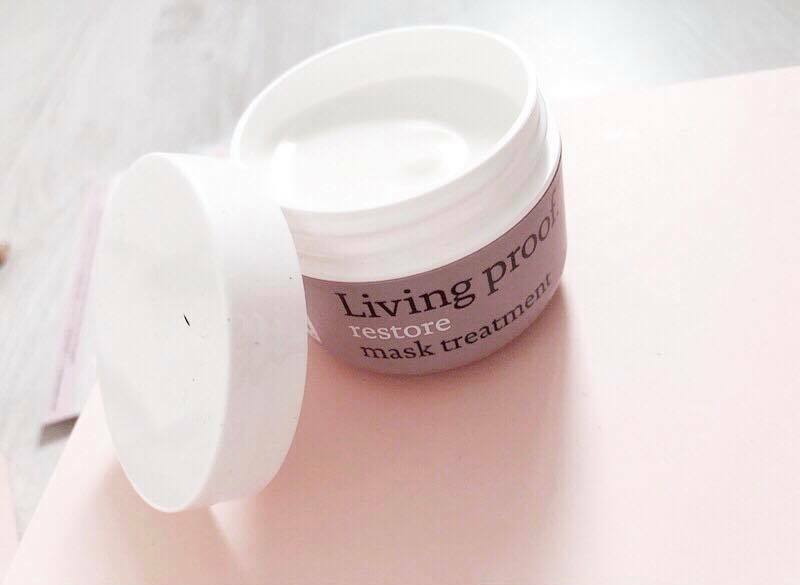 It will leave your skin feeling soft and hydrated. It’s cruelty free and fragrance free! 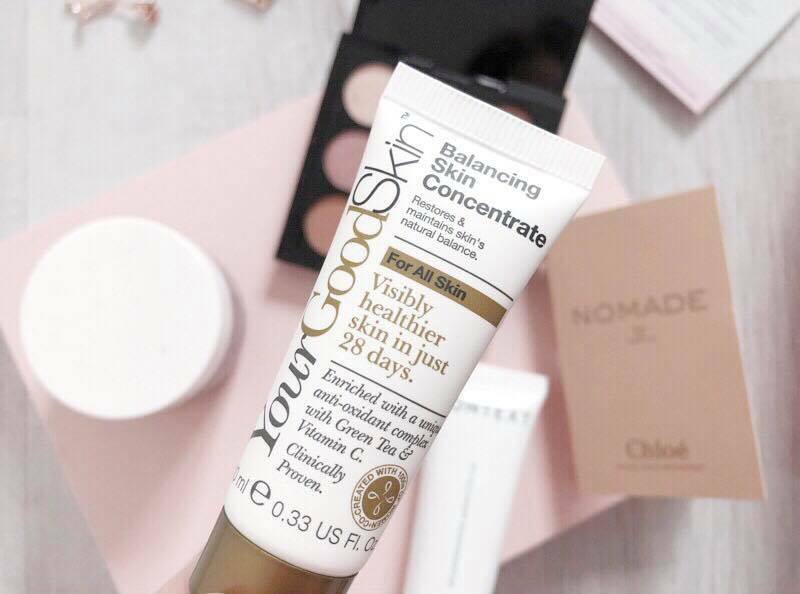 Another skincare product which I am happy about as I love to try out new skincare products. 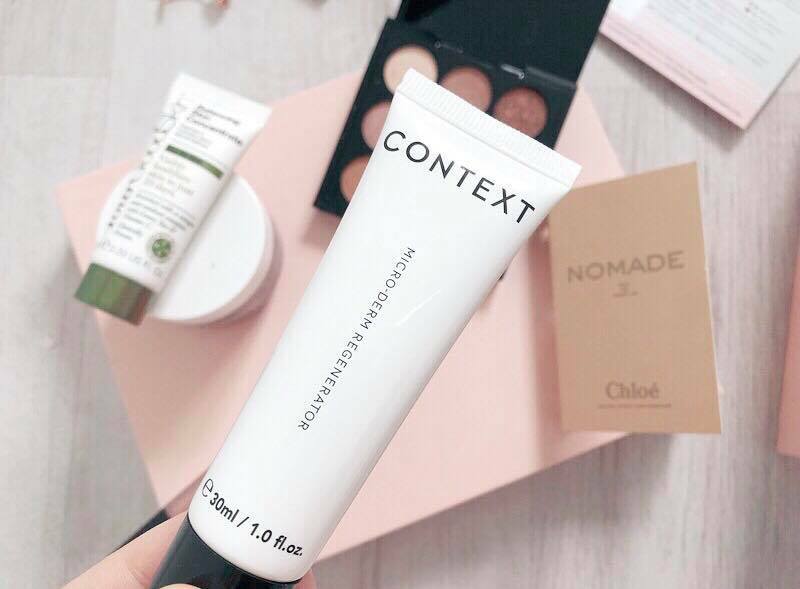 This balancing skin concentrate has some amazing ingredients such as Green tea, and vitamin C to help improve skin texture, moisture and radiance. Glossybox have definitely pulled it out the bag this month!